Originally a Washington D.C.-based roots rock band, with "country, swing, bluegrass, blues, folk, mariachi, punk, pop, and Tin Pan Alley influences". Now based out of Nashville, Eric Brace and the gang travel around the US singing about the Donut Girl. LTH frontman Eric Brace is a former staff writer for The Washington Post where he was a columnist covering the local music and nightlife scene. LTH frontman Eric Brace is a former staff writer for The Washington Post where he was a columnist covering the local music and nightlife scene. Prior to Last Train Home, Eric played in several Washington area bands, including B-Time, the Beggars, and Kevin Johnson & the Linemen. He also ran a local rock label, Top Records, for many years, before focusing on his own music. It was in late 1996 that Eric began pulling together a band to record some of his songs. 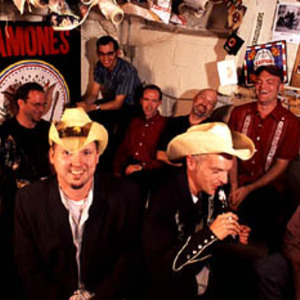 Those recordings became the band's eponymous debut, "Last Train Home," released in 1997 on the D.C. indie Adult Swim Records (run by Dischord Records co-owner and punk rock legend Jeff Nelson). In 1999, the band returned with the deeper and richer release, "True North." With rave reviews coming in on a regular basis, the band started touring the east coast more widely, and took a couple of trips to Nashville to play its music. Soon there was a Christmas EP, another EP of cover tunes, and another full-length CD, "Time and Water." The band's path was becoming clear. In January, 2003, just as it was being declared Washington D.C.'s "Artist of the Year" by the Washington Area Music Association, Last Train Home went full-time. With its profile rising, the band opened for Willie Nelson at the Wolf Trap amphitheater outside Washington, and for Dolly Parton at DAR Constitution Hall. After relocating to Nashville, LTH quickly became an integral part of Nashville's independent music scene, and was named by the Tennessean newspaper as one of the finest live acts of 2005: "Best Show: Tie between Neil Young at the Ryman and Last Train Home at the Family Wash."
In 2005, the band released the CD "Bound Away," and followed that in 2007 with "Last Good Kiss," both widely-praised CDs that showed the band's extraordinary growth. That artistic evolution was rewarded with appearances on the CBS "Late Late Show with Craig Ferguson" and on the syndicated radio show "Mountain Stage." To celebrate its tenth anniversary, LTH recorded and released a live concert DVD and CD, "Last Train Home Live at IOTA," a vivid document that captures the dynamic live performance that has become the hallmark of this band. Eric contributes most of the songs to LTH's recordings, but he also champions the works of such Washington area artists (and part-time LTH members) Alan Brace, Karl Straub, Steve Wedemeyer, Scott McKnight, and Bill Williams. He also finds lesser-known gems from the likes of Buck Owens, Tom T. Hall, Paul Kelly, Bob Dylan, and Barry White to add to the band's CDs and sets.